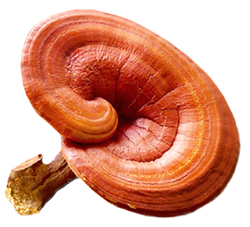 Ganoderma lucidum, also called Reishi mushroom, is a fungus that is referred to as "tough" and "woody" and has a bitter taste. Ganoderma lucidum contains chemicals that have therapeutic benefits including activity against tumors and can boost the immune system. It also serves to protect the body and fight against viral infections such as influenza and swine flu, lung conditions including asthma and bronchitis, heart diseases, kidney diseases, liver diseases, and even cancer. Other uses of Ganoderma lucidum include reducing stress and preventing fatigue. This is a perennial herb that is considered medicinal for various conditions, being an alternative treatment for asthma, epilepsy, tumors, ulcers, indigestion, inflammation and many other ailments. It wasn't until recently that this herb got attention as a potential nootropic supplement demonstrating its efficiency in enhancing cognitive function through improvement in synaptic transmission and electrical conductivity in the brain that signals our neurons. Some double-blind studies have demonstrated efficacy at providing anti-anxiety effects, leading to reduction in stress and improving sleep patterns. The standard dosage for ethanolic extract is 6mg. Ganoderma lucidum is possibly safe to use however, some reported side effects include dryness of mouth, itchiness, upset stomach, nosebleed, and bloody stools. 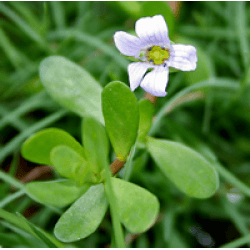 Bacopa monnieri is generally safe to use. There are no users taking this supplement.